A Greenup, Kentucky car accident occurred shortly after 4:00 p.m. Sunday on U.S. 23. It involved two vehicles. The crash has tragically taken the lives of three people, Tracie Howard, of Portsmouth, Ruby Brown, of South Shore, and Jamond Buford, of Ashland. Joshua Bowling, age 33, of Flatwoods was taken to King’s Daughters’ Medical Center for medical treatment. His condition is listed as serious. Details related to the cause of the crash are still pending. Under Kentucky motor vehicle laws, the parties responsible for the accident can be held legally liable for the accident, injuries, and deaths, related to the accident. 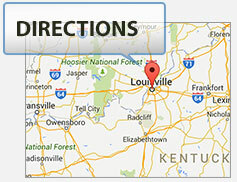 Persons who are injured in Kentucky auto accidents can bring Kentucky Personal Injury Claims. The families of persons killed in Kentucky auto accidents can bring Kentucky Wrongful Death Claims. Depending upon the facts surrounding the accident and matters specific to each individual, the legal claims can and will vary. A tragic accident near Somerset, Kentucky has taken the life of Megan Williams, age 30. The accident happened Wednesday morning just after midnight on Ky. 39, a few miles north of Somerset. The cause of the accident is related to a semi truck attempting to turn off of Ky. 39 onto a narrow road when one of its wheels went into a ditch and part of the truck was squeezing up against a utility pole. The semi was blocking Ky. 39 when Ms. William’s vehicle collided with the semi. She died at the scene of the accident. Kentucky semi truck accidents are serious matters and are riddled with legal complexities, which include legally preserving evidence related to the crash, which include trucking ledgers and logs related to where the truck had been, how long the truck had been on the road, and verifying the truck had been in full compliance with federal trucking regulations. In cases where people are killed due to semi truck accidents, Kentucky law affords the family of those innocent victims killed a legal remedy to seek civil justice related to the death of their loved one. These types of legal claims are called Kentucky Wrongful Death Claims. Information about the legal rights of families who have lost a loved one in a Kentucky trucking accident can be found from the Ackerson Law Offices. (www.kyfirm.com). Felecia Burton, age 40, of Lexington, Kentucky, was killed Sunday morning after being struck by a van. This tragic accident happened around 4:30 a.m. Sunday. Burton and friends had left a bar and were walking along the roadway in Okolona neighborhood area when for unknown reasons Burton stumbled into the roadway and was struck by a van. Police reports indicate that alcohol may have been a factor in causing this accident. If alcohol is determined to be a factor, Burton’s family may have a claim against the bar that over served the alcohol that lead to this accident. This type of legal action is generally known as a Kentucky Wrongful Death Claim and more specifically known as a Dram Shop Action, in cases of over serving of alcohol. Dram Shop actions, depending upon the parties involved, can be either 1st party claims or 3rd party claims. Under the legal causes of action for both a Kentucky Wrongful Death Claim and a Kentucky Dram Shop Action, the family of Ms. Burton can seek legal civil damages under Kentucky Law. This accident happened last Thursday night on U.S. 60 near the intersection of Ky 5. The Accident was caused by a westbound vehicle crossing the center line of the roadway and crashing into a Chevy Blazer. This accident resulted in multiple persons being sent to hospital and the death of 17 year old Alexandra “Paige” Bush. While clearly the accident appears to be the fault of the vehicle crossing into the path of on-coming traffic, the greater unanswered questions are what caused the vehicle to cross into the other lane. The reasons can range from mere driver inattentiveness to other acts such as cell phone usage. Kentucky law affords the families of victims who are killed in motor vehicle accidents to use Kentucky civil laws to seek justice in cases where someone is killed. Such legal action is referred to as a Kentucky Wrongful Death Suit and affords families the right to use the legal system to seek redress and answers to what caused the accident. Often these types of lawsuits are not only about seeking to punish the wrong doers financially, but often through the legal discovery process and the taking of depositions, the witnesses are forced to testify and provide answers about what truly happened. A fatal cross-over accident occurred on US 127 in Casey County, Kentucky around 6:30 p.m. last Friday. This accident involved a vehicle crossing the center line of traffic and crashing into another vehicle traveling the opposite direction. Michael Beal, age 26, was tragically killed in this accident. Kentucky civil laws related to tragic auto accident are not as compassionate as one would hope. They do not afford justice fully to a family who has lost a loved one. Often the legal damages that can be claimed in Kentucky Wrongful Death lawsuits is limited solely to the lost earning potential of the victims, and do not afford family members, other than spouses or younger children, compensation for the bereavement and emotional distress suffered. Kentucky Wrongful Death Claims are very fact specific to the circumstances of the accident and the circumstances of the deceased victim’s life. The families of younger victims are compensated much more than the families of victims who are much older. As a result the laws can seem to disproportionately place a greater value on life at a younger age than an older age. The reality however is that the law is merely affording compensation for the lifetime of lost earning potentials, and a person who is young has lost more years of earning capacity than a person who is of the age of retirement. A single vehicle accident in Harrison County, Kentucky last Friday has resulted in the death of one passenger and the serious injury of the driver and another passenger. Joshua Frank Fryman, age 21, died from the injuries he sustained in this crash. The driver of the vehicle and another passenger were air lifted to UK Hospital due to their injuries. This accident occurred at 1:30 a.m. on Williamstown Road. Reports indicate that the vehicle was traveling at an excessive rate of speed and struck a utility pole. The injured passenger and the family of Mr. Fryman will both have legal claims against the driver of the vehicle. The Fryman family will have a Kentucky Wrongful Death claim whereby they can seek compensation for the loss of Joshua’s life. The other passenger in the vehicle will have a Kentucky Personal Injury claim whereby compensation for medical bills, lost wages, out of pocket expenses, and pain & suffering, can be sought. Due to the severity and tragic nature of this accident, it is important to know each and every insurance policy available to afford coverage, including policies that most would not think to consider, including policies of the victims and policies of persons who lived with the victims. Knowledge of insurance laws help victims and there families obtain the maximum amount of coverage available to compensate them for their losses. Johnnie McElroy, age 54, of Glasgow, Kentucky, died Saturday due to injuries sustained in a crash. This tragic accident happened about 2:45 p.m. while Mr. McElroy was driving westbound on Ky 88 in Green County, Kentucky. The cause of the crash is overcorrection by an eastbound pickup. The driver of the eastbound pickup went off the shoulder of the roadway, and then overcorrected, causing his vehicle to cross the center line into traffic. Mr. McElroy died at the scene. Too often drivers loose attention to the roadway or become distracted. When their vehicles go off the roadway, they panic and turn the driver’s wheel sharply in the other direction to correct their pathway and return to the road. Often these drivers overcorrect and force their vehicles into other lanes which can have tragic consequences as scene in this accident. As such, under Kentucky law, these drivers are negligent and responsible for the accident. In cases such as a death, the family of the person killed by the accident can file a Kentucky Wrongful Death legal claim against the responsible driver. This is a formal legal action to recovery various legal damages that relate to the accident, including a claim for the lifetime of lost earning capacity for eth person killed. The various Kentucky Legal Damages that can be claimed will vary based upon the circumstances of the accident and the persons killed.